Steel is a valuable resource that is used to unlock rare ships. At the moment it is awarded only to active participants of Clan and Ranked battles. After adding steel to the game, we received many requests to make it more obtainable. This is understandable, because not everyone has the opportunity to play in competitive modes effectively and regularly. To celebrate the New Year we have prepared 4 game events, and by participating in them you will get a lot of great prizes, including some steel. 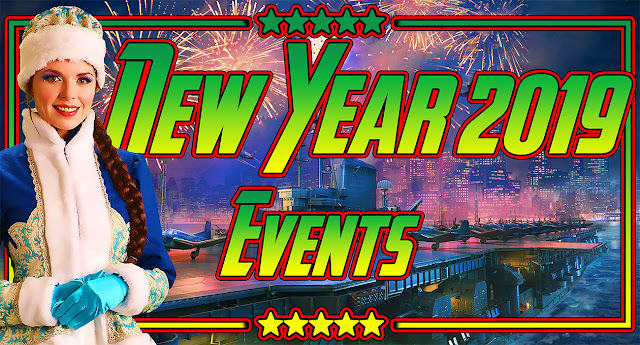 This doesn't mean that we are now planning to constantly create events like this, but it's the New Year and as you know, this is a time for surprises. Update 0.7.12 brings the new "In the Name of His Highness!" in-game event, along with the "Belle Époque" collection. In the process of its creation, the development team used a wide range of sources that included meticulous historical research and photo archives. Today we are going to tell you about the features of the collection and show you some of its elements. This collection will be permanently available in the game. The age of Imperial fleets, the heyday of battleships, the days of ramming stems and high masts. A time when the most powerful machines, hidden in the hearts of steel monsters, were set into motion by coal. When warships flaunted their ornate hulls, and the rays of the sun played across the gilding of their rich decor. An era that bid its farewell with the roaring salute of dreadnought battleships. The event contains one Stage and four Directives scheduled to arrive once per week, each of which contains 10 to 11 Combat Missions. While the fifth week won’t offer a new Directive, you'll be able to continue with those already made available. Each completed Directive or Combat Mission brings rewards including: camouflage patterns, signals, New Year containers and Steel. The successful completion of the fourth Directive brings you the brand new German Premium Tier VI battleship—Prinz Eitel Friedrich! Accomplish all Directives of the Stage and fight for a place of honor in the updated Hall of Fame. Please note: During the Public Test, the conditions of the Event may differ from its final version. For example, by completing the first Directive of the "In the Name of His Highness!" event you get Japanese Tier VI destroyer Shinonome. The ship is a key to the subsequent missions of the Public Test. New Year: a time of miracles! And what could be more perfect for the New Year's festivities than a gift that can make you smile? That's where “Snowflakes” comes into play! It’s a new festive special event that’s set to last throughout Update 0.7.12. You are probably well aware by now that your first win of the day with each ship scores an XP bonus, right? “Snowflakes” is a bonus you can claim the same way, but only once per update. Please note that the attached rewards and conditions for "collected Snowflakes" during the Public Test may differ substantially compared to the live servers. 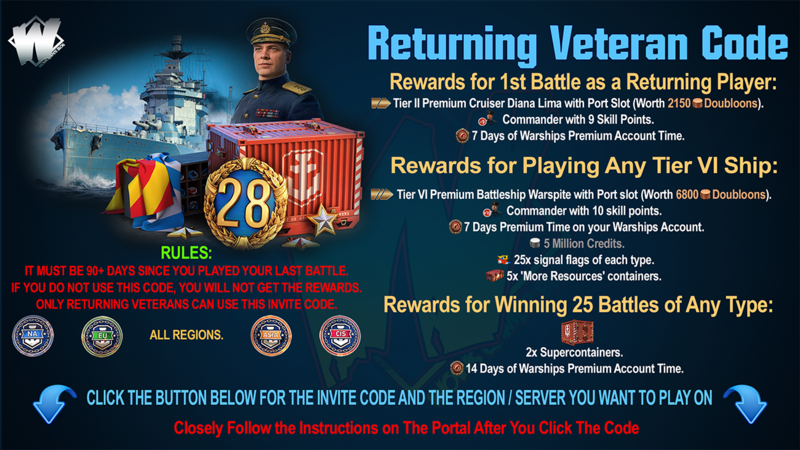 This is a temporary thematic campaign that will allow you to earn new year containers for the "Beautiful Era" collection and get tier VI tech-tree ships. By a good New Year's tradition, we'll continue partying by rolling out a new temporary campaign that will be available for owners of battleship Prinz Eitel Friedrich. As you progress through the campaign, you'll get containers from the New Year's "Belle Époque" collection. The final missions of the campaign will bring you researchable Tier VI ships with beautiful New Year-themed camouflages. Your ultimate reward for accomplishing the entire campaign will be a permanent camouflage for Prinz Eitel Friedrich. During the Public Test, the first mission can only be completed with Shinonome. 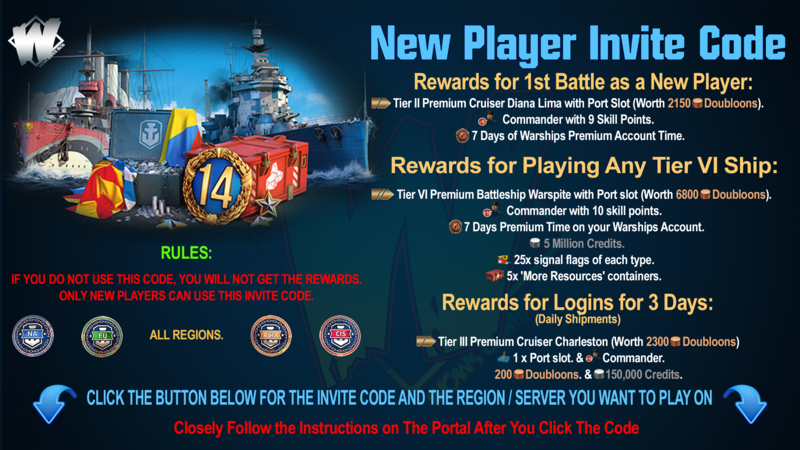 To participate in this campaign during 0.7.12 live server, you will need the battleship Prinz Eitel Friedrich, whose permanent camouflage will be the main reward. The second campaign is dedicated to the construction of the heavily armored ships from the beginning of the 20th century. Steel will be available for purchase through the Premium Shop. This campaign is a great way to stock up on camo, signals, Secret Santa containers and Steel—a valuable resource for use in the Arsenal. By completing its tasks and missions, you can get camouflage, signals, "Secret Santa" containers and steel. 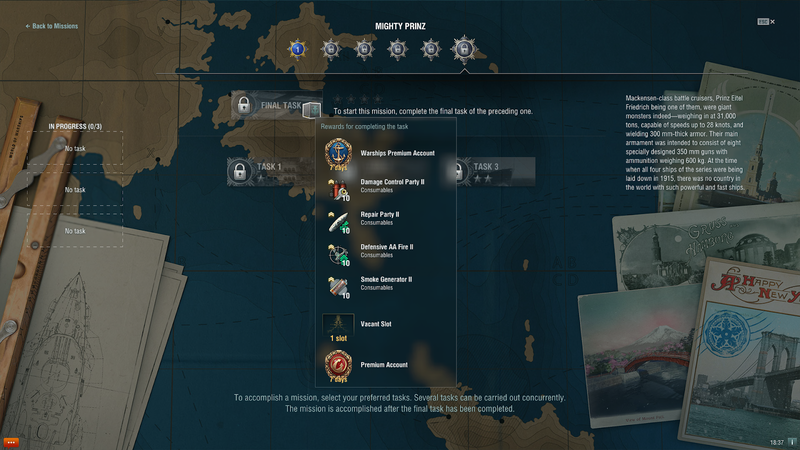 Access to the campaign will open during the second round of the Public Test, once you have completed the "Mighty Prinz" campaign. Please note that during the Public Test it will be noticeably easier to pass the new campaign when compared to the effort that will be required once it moves to the live servers. Also, please bear in mind that the conditions of various tasks and the attached rewards for completing them, may differ substantially. In addition, there will be specific combat missions in update 0.7.12, and completing them will get you steel. Thus, everyone will be able to choose their favourite activities, and we hope that the celebration will be successful. At the same time, the total amount of steel that can be obtained during the new year's activities is not so high as to devalue this rare resource and the efforts of those who earned it by playing in competitive modes.